At Caterham we believe that the value of playing rugby extends far beyond the time spent on the pitch. We feel it is vital that our students learn both how to deal with setbacks in defeat and also how to win with grace. By being part of a team boys will also develop attributes such as: self-discipline, respect, communication skills, leadership, honesty, courage, hard-work and team-work. These characteristics will help the boys to achieve success whatever path they choose beyond school. 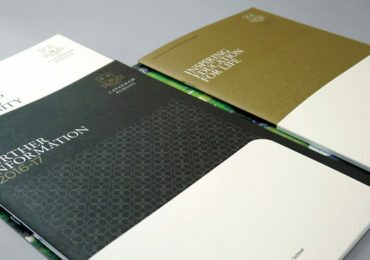 We base our approach around five key pillars. These are; Discipline, Respect, Teamwork, Enjoyment and Sportsmanship. In terms of a practical approach to the game we encourage a fifteen man game where every players’ contribution is understood and valued. Coaching encourages players to develop at a pace that they are comfortable with in a safe environment that players feel happy in. Emphasis is very much placed on player’s and team development, rather than results, as it is clearly understood by all coaches and boys that if all players progress then positive results are more likely to follow. 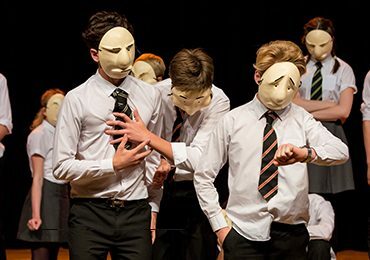 At Caterham boys are able to reach their full potential through a wide ranging rugby programme. At senior level boys have regular sessions of video analysis, strength and conditioning, sports psychology and recovery to aid their development. 1st XV players are given evidence based individual feedback on a weekly basis to help guide their progression. One to one sessions are held covering technical, tactical, physical and mental approaches and boys are encouraged to reflect on their own strengths and weaknesses to produce action plans for improvement. 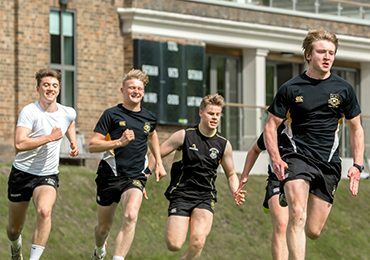 Aspirational players are challenged on a competitive fixture list that includes fixtures against King’s, Canterbury, King’s College School, Wimbledon, Reed’s School and Eastbourne College, ensuring that they are tested week in, week out. The School enters the NatWest Schools Cup at U15 level to provide an extra level of competition. The 1st XV compete in the RFU organised Schools Champions Trophy which pits 32 of the top rugby playing schools against each other in a knock-out competition. We are also proud to be a participating school in the prestigious Daily Mail Trophy at 1st XV which aims to provide an elite school boy league for strong rugby schools nationwide. Those who wish to push their rugby on into the Spring term can do so via taking part in the extensive Rugby Sevens programme. There is a team per age group with all teams entering at least two tournaments, with this rising to five at senior level. We compete in the HSBC National Schools Sevens at Rosslyn Park at U13, U16 and U18 level and are proud to be past winners of the U18 competition. Caterham also has close links with Premiership Rugby clubs, notably Harlequins where we have a number of boys involved at DPP and EPDG level. We also have links with other premiership clubs including London Irish, who host an annual camp at school for younger players to improve their skills, and Exeter Chiefs. The school has also provided a number of county and regional representatives in recent years and we have a proud tradition of representation for the Independent Schools Lambs National XV with three boys in five years having been asked to tour with this prestigious side. As well as providing for elite rugby players we are also very proud at Caterham of how we cater for the boys who wishes to play just for the joy of participating. We run fifteen rugby sides, a number which would make many larger schools jealous, a fact we are very proud of as it shows how much the boys enjoy their rugby here at school. Every boy is able to find their level and feel comfortable within their rugby session and all boys who wish to represent the school will be given the opportunity to do so. Boys at Caterham are also given the opportunity to experience touring as part of their rugby education at the school. Touring is a key part of rugby and we are delighted to be able to offer the boys the chance to experience this. Touring allows boys to deepen their bonds of friendship with their team mates and also exposes them to new cultures that allows for massive personal development. We have tours to various locations at different points in the boys’ careers. Recent destinations have included; Biarritz at U15 level, Dubai at U12 and U13 level and New Zealand, Argentina and Australia at U18 level. 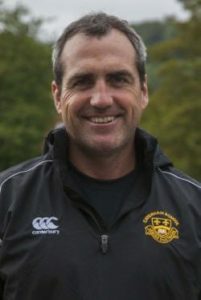 We are delighted to welcome Mr Wade Kelly as the new Director of Rugby at Caterham. Wade has a wealth of experience in the game from coaching U5s right up to coaching professional teams. Having had a stellar pro career as a player (most notably at Exeter Chiefs), Wade coached the Scot’s College 1st XV in Sydney for five years, a period in which they dominated Australian school boy rugby. He then was Director of Rugby at Randwick Rugby Club, one of the most famous rugby clubs in the world. Already, he has had a huge impact with the 1st XV who are playing some superb enterprising rugby. But he is not just hear to coach the 1st XV and he can’t wait to lay the foundations at younger age groups so that all rugby players at Caterham have every opportunity to reach their potential.